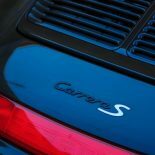 In terms of setting the standard for good-looking and fun-to-drive vehicles, the 911 Carrera is, in our biased opinion, the car out there that consistently turns heads and floors passengers back in their seats. 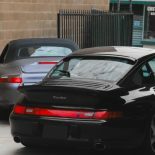 Whether brand new just off the lot or a tried-and-true classic such as the 993 series, every 911 Carrera and Carrera Turbo ever produced is just fun to drive and fun to own. That’s one of the many reasons why HOUSE Automotive enjoys working on these incredible machines — we know that we’re supporting a machine that brings you joy when you drive it. Replacing the iconic 964 model, the 993 marked the end of air-cooled 911 Carreras across the Porsche brand worldwide. 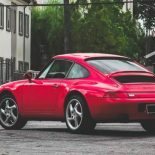 HOUSE Automotive also respects and acknowledges the fact that the 993 is, more or less, considered as the best and most desirable model of the 911 series — which is saying a lot! When you consider the pure beauty and jaw-dropping raw performance (even by today’s standards) of such a vehicle, what you’re left with is what many Porsche enthusiasts call the “King of Porsche” and “the last complete ‘modern classic’.” We agree. To no surprise, Road & Track magazine even wrote an April 2017 article highlighting the true beauty of this high-performance machine. 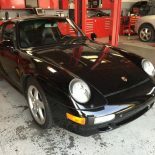 Believed to be built during a golden age for Porsche during the heart of the 90s, writers from the magazine even described the 993 as a car that “actually lives up to the hype.” Which, again, is quite the statement when you consider that many cars are hyped up, to say the least. 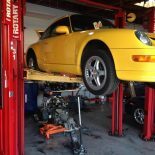 Truly, the 993 is a special machine that requires special maintenance from a team of classic Porsche service specialists in Pasadena that you can trust. At HOUSE Automotive, we firmly believe that we are that team. 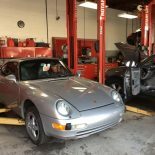 Read more below about what service items to keep in mind for your valuable 993, and feel free to get in touch with us directly with any questions about upkeeping your classic 911 Carrera. Recommended yearly service intended for vehicles that accumulate low yearly mileage between required service intervals.